Dunkirk, Norway, and finally Greece. 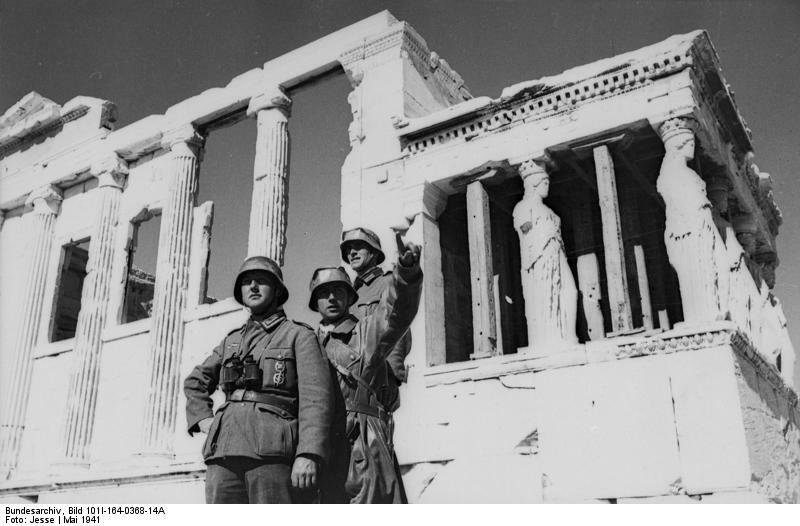 On 28 April 1941, the British evacuated their expeditionary force from the Greek mainland, thereby abandoning Britain’s last foothold on continental Europe to the conquering German army. 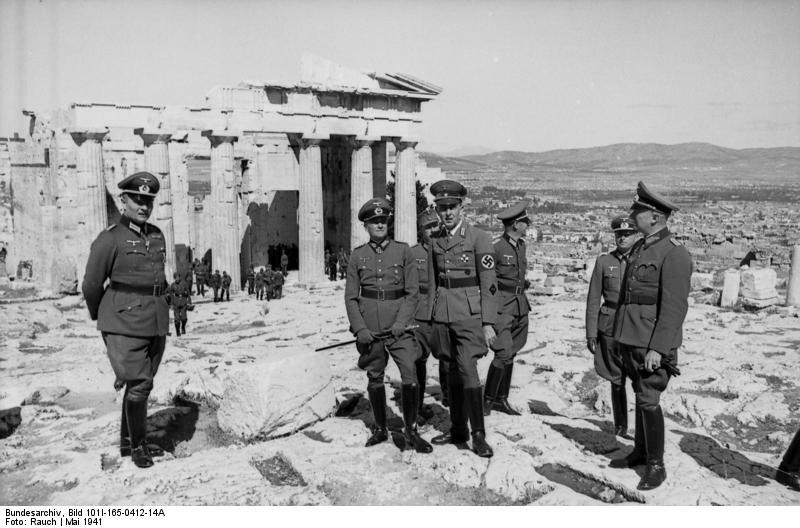 The plight of Greece, that had begun with the invasion by the Italians in October 1940, had ended in disaster and defeat. As at Dunkirk, most of the British expeditionary force was evacuated, minus all of its heavy equipment. Over 12,000 men were lost, most having been taken prisoner. Close to 300,000 Greek soldiers had been taken prisoner. All, save for the officers, were quickly released. While the Germans enjoyed the fruits of victory, touring the sites of ancient Greece, the British withdrew to the island of Crete. Confident that the Royal Navy still ruled the Mediterranean waves, they were determined to make a stand. This entry was posted in World War II and tagged Acropolis, Crete, Greece. Bookmark the permalink.